If you're a regular visitor to the Team Kyra blog, you probably know she's a big supporter of TAPS - a group that helps families of fallen U.S. troops. Well, Kyra just heard about a song called "Soldier On"; the people behind it are donating half the song's proceeds to TAPS. You can find more info on "Soldier On" right here. With New Haven police (understandably) keeping mum about the Annie Le case, Kyra reached out to our law enforcement go-to guy, Mike Brooks. 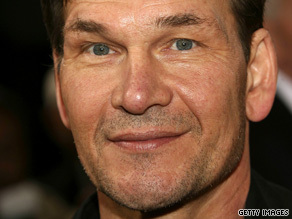 Actor and dancer Patrick Swayze has died of pancreatic cancer. He was the star of such films as "Dirty Dancing" and "Red Dawn". Swayze was 57. So what's your favorite Patrick Swayze movie moment? Leave us a comment and we'll share some of them on the air in the CNN Newsroom, 11am-1pm ET. Do You Support the War in Afghanistan? Support is at an all-time low for the war in Afghanistan, according to a new CNN-Opinion Research Corporation poll that came out this morning. Only 39% of Americans approve of the war now, compared with 53% who supported it in April. We always like to poll the Heidi show viewers directly - so we want to know: do you support the war in Afghanistan right now? Why or why not? Has your opinion changed over the course of the last year?